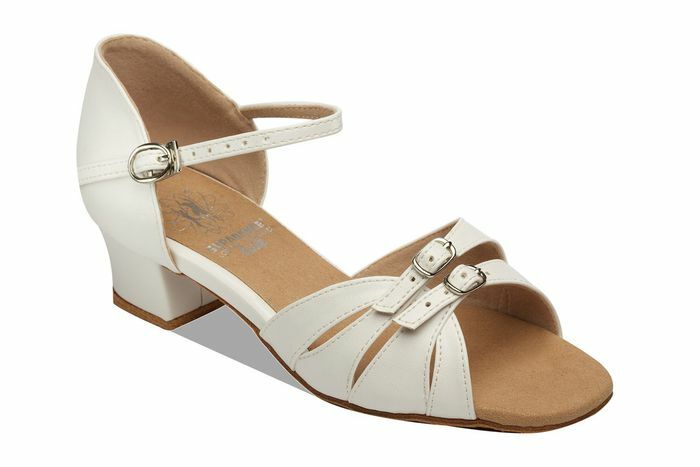 New Entry-level girls shoe in White Coag or Flesh Satin. There is no Sales Tax (VAT) on children shoes. We have created a brand new range of Girls dance shoes. They are specifically aimed at entry-level dancers and are part of our ‚Äúclub range‚Äù ‚Äì this range is more affordable than our classic Girls shoes. They are similar to our main range but use satin and components which are slightly different to the exclusive ones we use on our main range.